This case was designed and built for Swank Audio Visual. 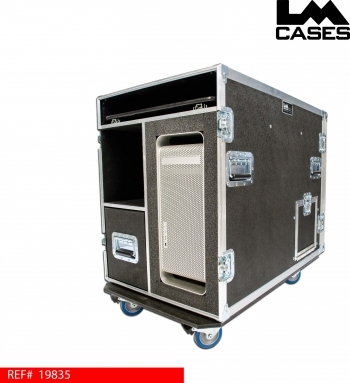 The case features a custom compartment for a MacPro tower, pull out keyboard shelf, drawer and custom patch panel built by our Custom Integration department. 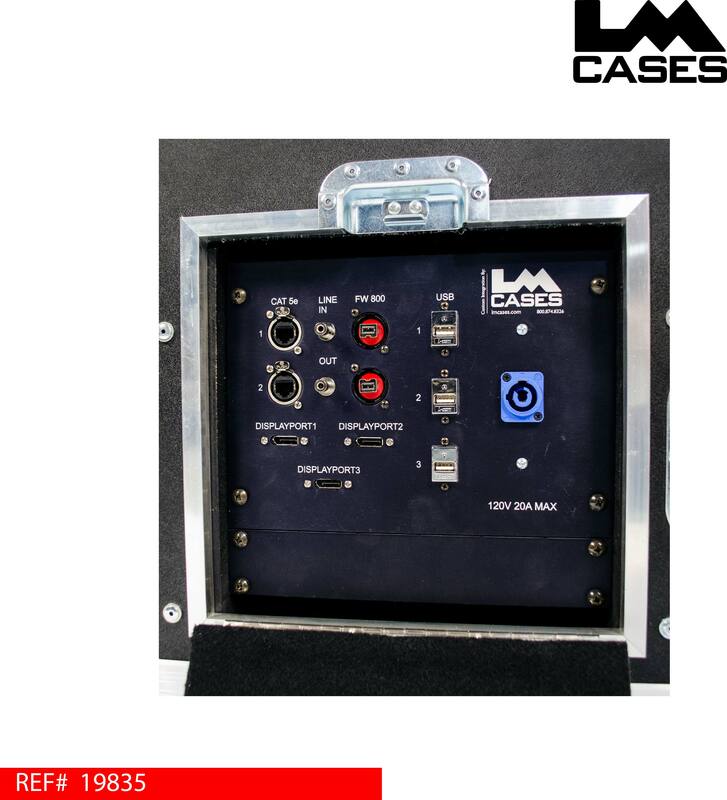 Swank wanted to have the ability to leave the case closed and locked at show sites, to accomplish this our Custom Integration department designed a custom patch panel that made all of the inputs and outputs of the MacPro tower accessible while the case lids were on. 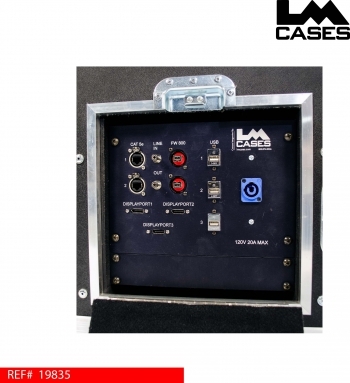 The panel includes, 2 cat5's, 3 Displayport's, 3.5mm audio ports, 2 Firewire 800 ports, 3 USB's and a Powercon connector. The CI department also mounted fans on the back lid to take care of ventilation. 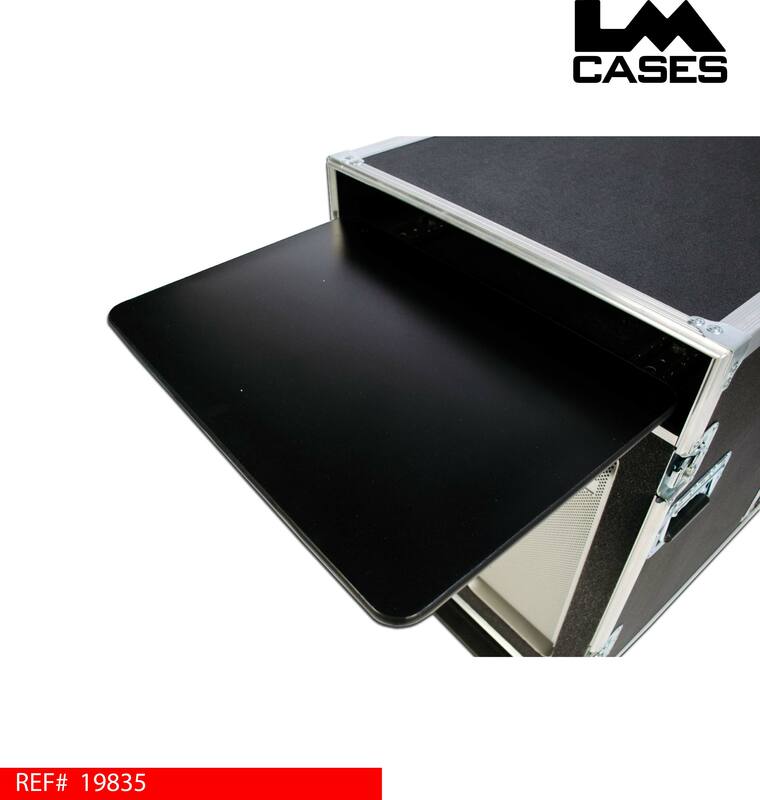 The MacPro tower is mounted in a 2" foam lined compartment to provide maximum protection during transport. Above the tower is a pull out keyboard tray that is covered with black Formica. The case interior also features a storage compartment and a drawer mounted on HD Accuride glides. 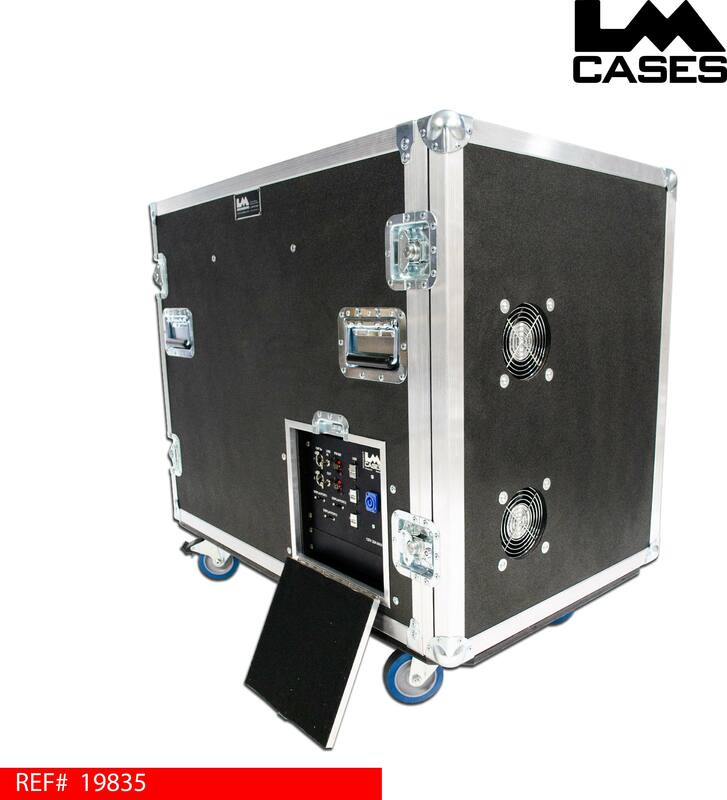 The case exterior is built out of 3/8" plywood and features 4" Colson casters. Special thanks to Swank AV!